It is heating up fast here in Louisiana. I think it is going to be a hot summer. I was thinking y’all probably read my blog on your email and don’t always go to my website. Today, I am bringing a bit of my website to you. You can find this information on a tab called “Artists I Adore“. I will be adding people as I go. I recommend that you check out Tamara Laporte of Willowing Arts. She is a talented,open-hearted woman offering a 12 month on-line class with weekly lessons including 12 visiting teachers. I am taking this class. It is called Life Book. It is an art journaling class. Of course, I like and relate to some lessons more than others, but I have learned something in each lesson. I look forward to Mondays when the new lesson is on-line. 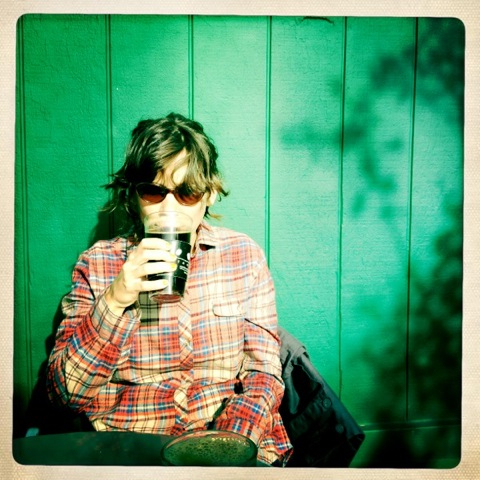 Because I am tight with the Cosmic Cowgirls, I have not taken advantage of the Willowing on-line community, but if you are looking for a tribe, Tamara has a good one you can join. You can use MOONBEAM77 to receive a 10% discount on your first order. 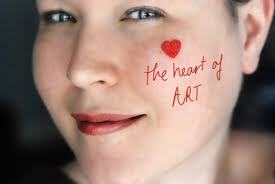 Right now Tamara is offering a mini face class for summer. You can access Willowing Arts HERE! If you are looking for a photographer in the New Orleans area, look no further! Dorka of Dorka Photography is wonderful. I love her as a person and as an artistic and knowledgeable photographer. You can access the amazing Dorka Photography website HERE! It is another gorgeous day here in New Orleans. I am having one of my favorite kind of days where I can have time to just ponder, listen and create. I think it is in my goat-nature to plan and execute. I am working on being flexible… loosely woven plans. This is really anti-goat mentality, but worth working on. For the two or three weeks, I have been painting a picture of Frida Kahlo. She is an inspiration in her fearless portrayal of her pain. She is so obviously someone who wouldn’t have been the person she was without the pain of the polio, the bus accident and Diego. 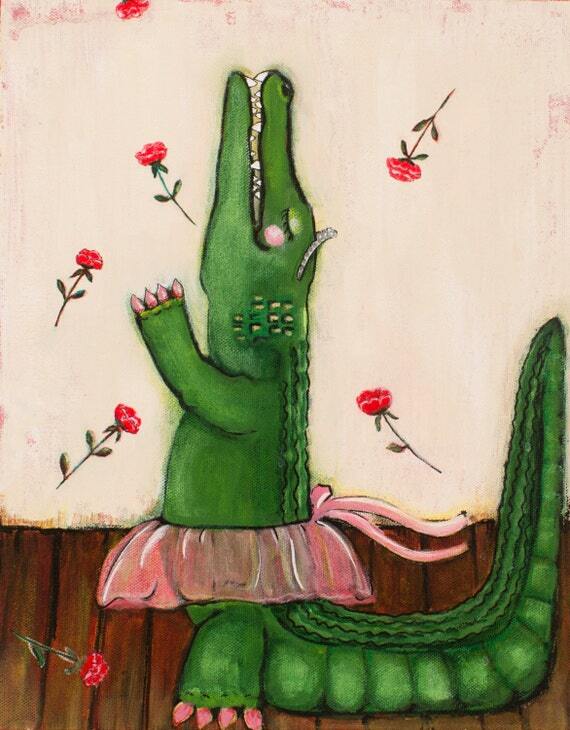 Diego hurt Frida terribly, but he also validated her as an artist. I could write about Frida all day, but there are many books that do a better job. So here is my process. Before this roughed out painting, I wrote “July 1907 – July 1954 Frida Kahlo” on the canvas, because I wanted to make this a tribute and to feel closer to her. I just happened to have a thin canvas that fit inside the frame. This picture basically demonstrates that it doesn’t really matter how the painting starts out. Visualizing where the painting wants to go, staying connected, opening your heart, having fun with the paint and the colors is what happens throughout the painting, but really clear here. This painting is rich with symbols. Starting on the left is a picture reproduced from Frida’s journal. I love it, because she is a skeleton in the picture. 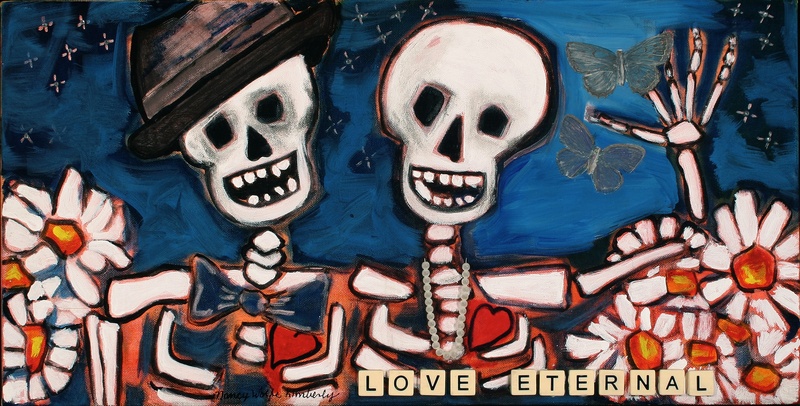 Under her journal page are loteria cards of a skeleton and a rose. Below that it says, “mi amor” in my best Frida handwriting from studying her journal. Printed on canvas is a picture of Frida and Diego. On all 4 corners are tiles that my sister made, just because they look Mexican. Up at the top, you can barely see a photo of Frida in the hospital and a photo of her blue house. 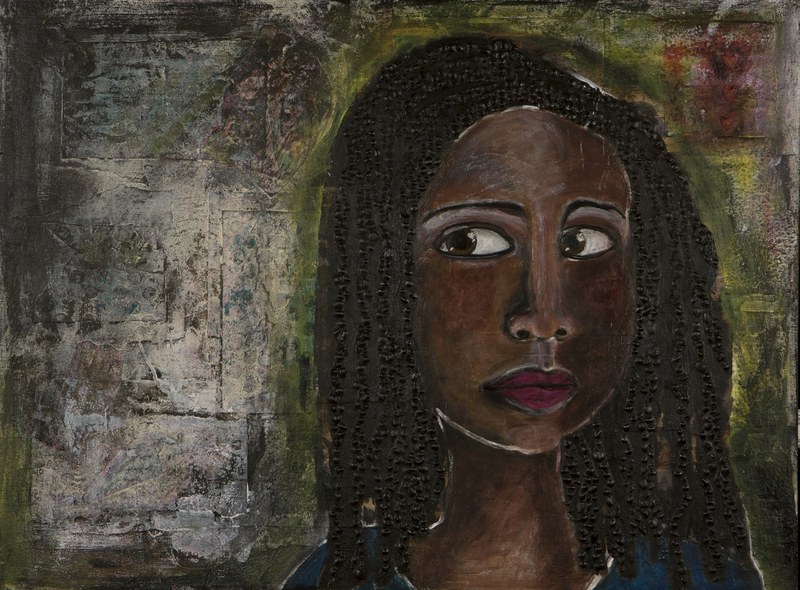 On the right side of the painting following her clockwise from the house that she loved are the words, “Painting Saved My Life”. On this side there pictures that you can slightly see of Frida with her monkey and her parrot. Here, there is a blue butterfly symbolizing her freedom. On the bottom is the word, “FLY”. 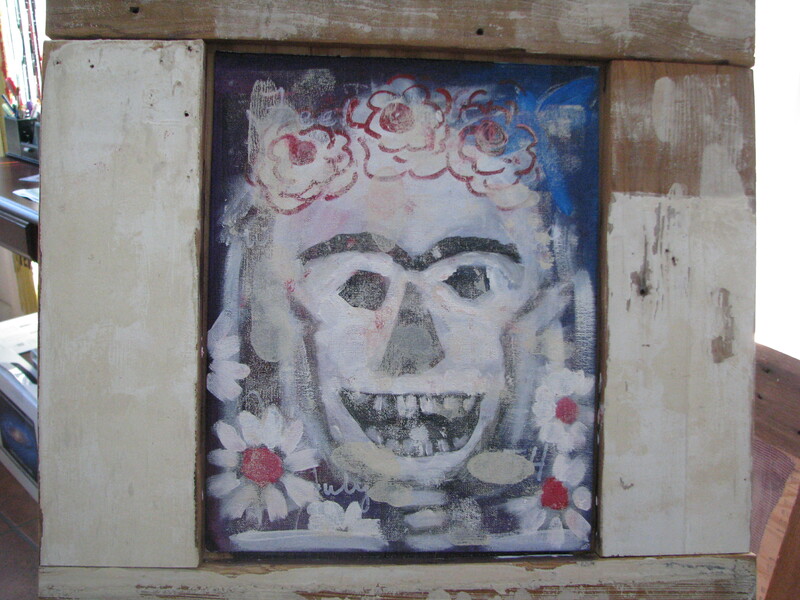 I don’t believe Frida would want to Rest In Peace. I nailed 3 milagros under the word FLY that I bought at the mission in Carmel, California. One is her leg that caused her so much trouble, starting with polio when she was a small child and ending with amputation shortly before her death, a bird and a heart. Her initials are covered in gold glitter and paint to symbolize the gold that covered her after the bus accident. Finally, the center of the painting. 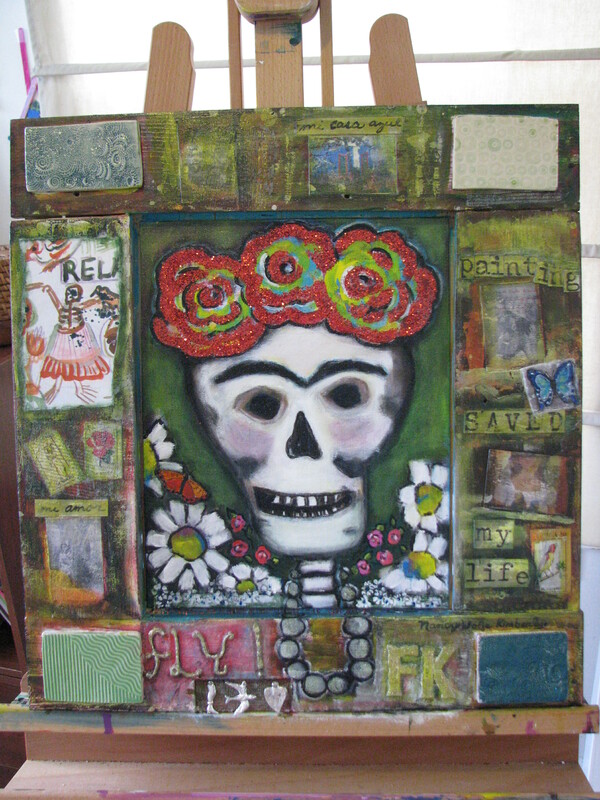 Hovering above the daisies is an orange and red butterfly symbolizing pain and eventual death that shaped Frida’s life. I almost hate to be done. Being done with this painting is like being finished with a good book. To all of you out there, learning and growing from your pain. It’s not in vain. Look to Frida for your strength. We are mid-way in the year of the dragon, the year of possibilities. It is kind of overwhelming in an exciting kind of way, don’t you think? 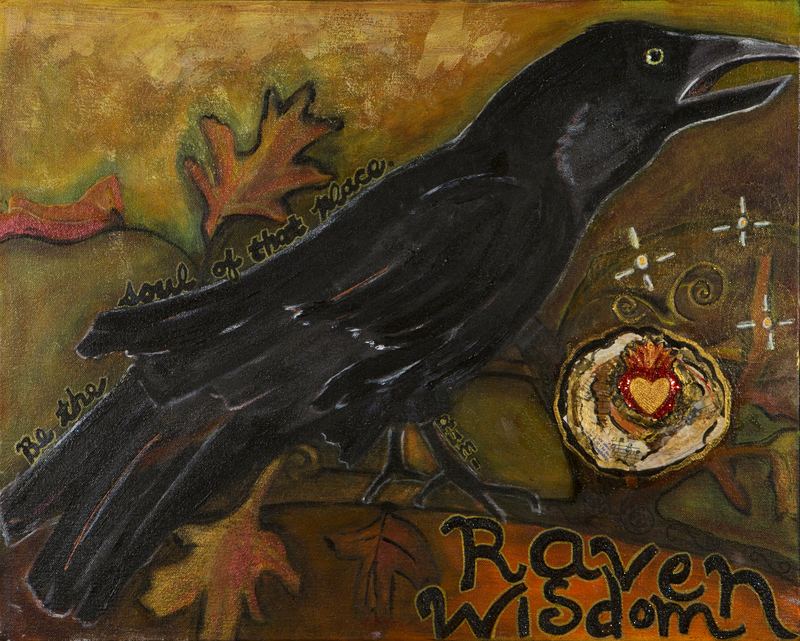 Today, I decided to share the finished Raven Wisdom and the young woman with revolving names. I call her Hopeful Anticipation, but I will explain that later. I delivered Raven to California last week. I don’t have a picture of him framed. The frame was really cool. I used dark green reclaimed wood from the Green Project. The best part of the frame was a shelf along the bottom to put shiny trinkets, gems and crystals that Raven might like. There are hinge holes on the right-side bottom of the frame where I hung a string of burlap with dangling wing and heart milagras. I can see my painting becoming more urban. I like it. I offered a contest to name this painting. I liked many ideas. I decided to leave the words off of the original, because I like the painting this way, too. I didn’t want to limit her. Limitless Possibilities? See, her name keeps evolving. My idea is to send the photo to the print shop for prints and giclees and add different words to the copies. It will make each copy an original. I will post later what that looks like. I will send a print to those people who sent me words that I use. It’s not too late for you! 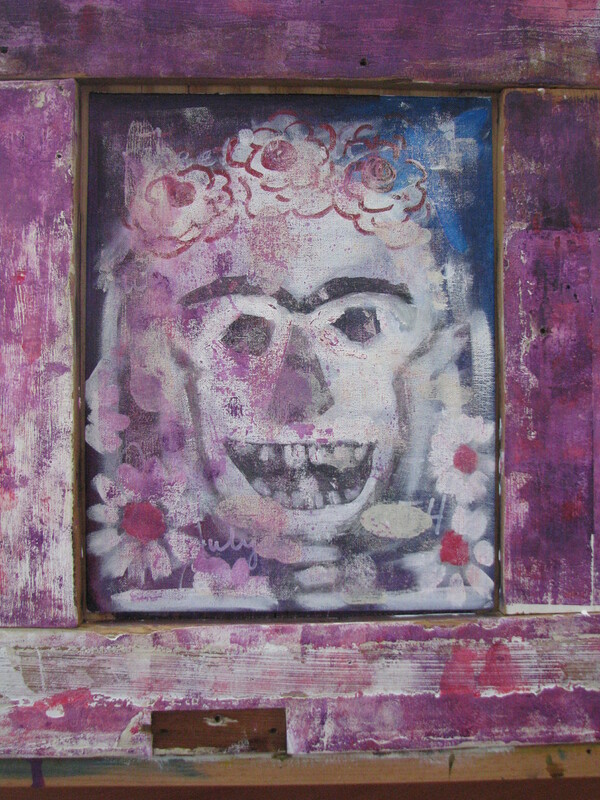 I am totally engrossed with my new painting of Freida Kahlo as a skeleton. I don’t know if I will make prints, because the frame is totally part of the painting. I will post the process of Freida next week.